"The dealership has been fine with us, and that's one thing I need to stress. It's the one thing that hasn't been such a huge, bitter pill." 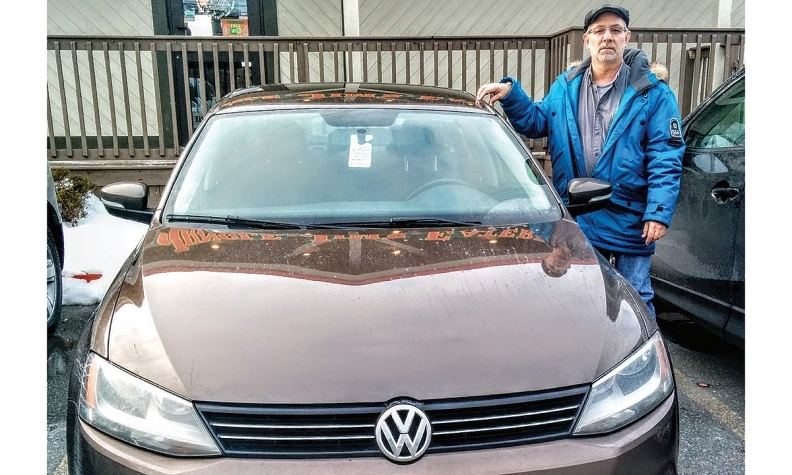 Many Volkswagen dealers are doing good work for their customers in the wake of the diesel-emissions scandal, but the automaker and courts could do more, say some owners of the affected diesels. Alan Thygesen of ConceptionBay, Nfld., owns a 2011 Jetta TDI and said he found out about the diesel issue through the media. “I talked to our [VW] salesman,” he said. “He knew about it, but didn’t know how far it was going to go. Volkswagen gave us two MasterCards ($500 each) through the mail in December 2015, and I would say that was probably the first of the admission [of a problem]. While lawyers representing owners and Volkswagen Canada agreed to a proposal for cash buybacks based on Canadian Black Book value plus damages, an Ontario Superior Court judge held over the hearing on March 31, citing Ontario’s Consumer Protection Act that could potentially reimburse owners for their full purchase price. Heather Dennis of Lunenburg, N.S. put a depos-it on a new Volkswagen Alltrack, but is waiting to see what she’ll get for her 2012 Jetta wagon before closing the deal. Her new purchase is contingent on what she’ll be offered for the Jetta. The proposed settlement would give owners used-vehicle wholesale value as of Sept. 18, 2015, when the news became public. Each vehicle’s current kilometres will factor into the equation but might not be as big an issue as some think, said Volkswagen Canada spokesperson Thomas Tetzlaff. Only kilometres will be considered, not the vehicle’s physical condition, Tetzlaff said, unless it’s written off and becomes an insurance claim. "...My big thing is that they lied, and they need a smack upside the head." Mike Johnston of Newmarket, Ont. put his 2011 Audi A3 into storage because it needs repairs, and bought an Alltrack. “I thought I’ll wait it out and when they finally arrange the package, I’ll probably go with the settlement,” he said. “I’m being offered the value of the car in 2015, so in my mind, that’s kind of a sweetheart deal.” His wife owns a 2011 Golf that’s also affected. Rob Smith of Oakville, Ont. is also waiting for information on his 2013 Golf Sportwagon. “I understand it’s based on the court process, but the amount of time you have to wait for each milestone is amazing,” he said. “The news trickles out every couple of months. I wanted to change my vehicle at the end of last year and couldn’t do anything because I don’t know its resale value.